Our best quality rash guard helps prevents cuts, scrapes, skin irritations and repels moisture keeping your skin well protected. The Shield short sleeve rash guard is engineered with abrasion free fabrics so you can power through strenuous training sessions in comfort. Our rash guards are comprised of high-tech compression material that promotes blood flow and recovery time which is vital to keeping your muscles healthy. 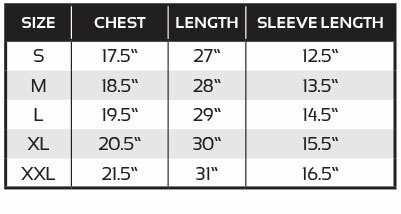 Anatomic fight fit and long torso cut means the rash guard won’t slide around or roll up when boxing, running drills in Krav Maga or other martial arts. The Hydro wicking technolody composed in the fabrics keeps you dry so you can perform with confidence. The super-stretch material with 4x4 nylon flat stitched seams, provides comfort and full range of motion when wrestling, grappling or doing Brazilian jiu jitsu. Featuring fully sublimated graphics that will not crack, peel or irritate your skin, The Shield is ideal for combat sports and martial arts training or competition. The Shield is available in blue, red and black, short and long sleeved, you will love the clean appearance of The Shield. If you have any questions, please call our experts at 800-767-8288 or message us online.